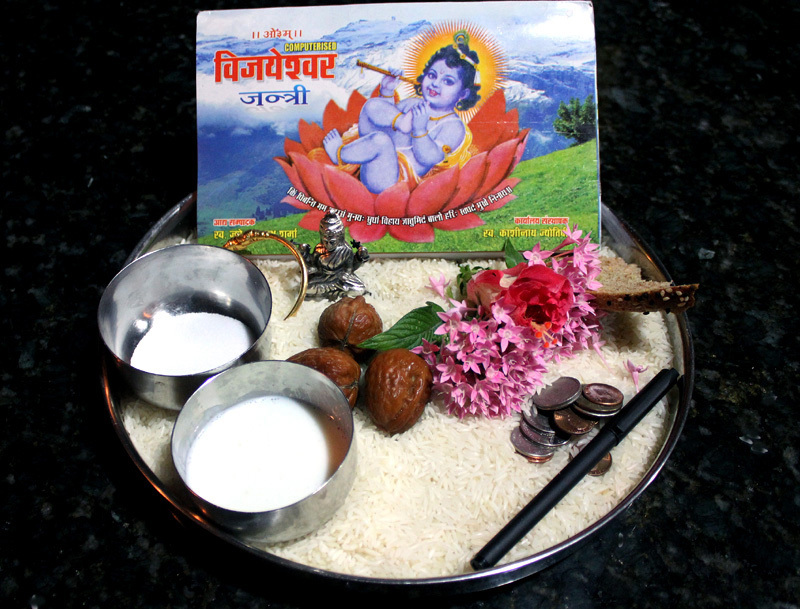 Home Religion & Spirituality Navreh | How Kashmiri celebrate their New Year’s Day ? Navreh | How Kashmiri celebrate their New Year’s Day ? Navreh-the Kashmiri New Year’s Day falls this year on the 4th. of April. An odd day to celebrate the New Year’s! – Interestingly though, before the common Gregorian civil calendar was formalized, the New Year’s Day in Europe was also celebrated at or around the vernal equinox. Kashmiris follow a lunisolar calendar: a combination of the lunar and solar calendars. 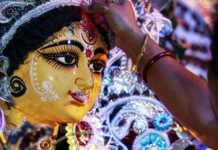 For lunar calendar we follow the Indian Vikrami calendar that divides the year into twelve months– each with two parts: a lunar bright fortnight and a dark fortnight. The first month of the year in this reckoning is called Chaitra. 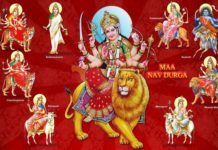 Navreh-the Kashmiri New year’s day- falls on the first day of the bright fortnight of Chaitra when the moon enters the constellation Mesha (Aries). 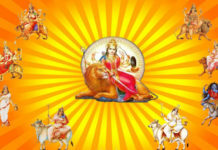 We believe this day coincides with the first day of year on the Saptarishi calendar also used by the Kashmiri Hindus. Although we celebrate Navreh this time of the year, it is distinct from Navroz, the Zoroastrian New Year’s day. On the morning of Navreh, the Kashmiri tradition calls for the ritual viewing (Darshan) of a plate (usually bronze or steel thali) filled with various items and paraphernalia for good omen. The thali is prepared on the eve of the festival (called Thaal Bharun). The thali is kept covered over with a towel overnight (instead of the traditional wicker basket). The thali is presented early next morning individually to all the family members by a younger female or an elderly lady. In return for this service she is compensated with ritual offering of money-for zang-good omen. In the US we have found it easier to leave the thali on the kitchen table and let individuals do their own viewing, fee optional. 14. A new calendar (panchang). The rice and coins represent our daily bread and wealth, the pen and paper a reminder of the quest for learning, the mirror represents retrospection. The calendar signals the changing time and the Deity the Universal Constant; and they together a reminder of the constancy of changing time. The bitter herb is reminiscent of life’s bitter aspects, to be taken in stride alongside the good. The bitter herb ‘why’ is usually eaten with walnuts to bring wholeness of life’s experiences in the admixture. Symbolism aside, the consumption of this bitter herb has also been practiced by Native American cultures as well as by some of the American transcendentalist philosophers for various reasons. However, Food and Agricultural Organization Corporate Document Repository and other sources indicate that the herb we call ‘why’ or calamus contains carcinogenic and hallucinogenic components. So beware! After darshan of the thali, each person takes a walnut to be thrown into a river (in the US we place it under a tree). The rice is cooked to make Tahar (rice with turmeric) and eaten as a prashad. The day is filled with celebrations of wearing of new clothes, cooking and serving fancy dishes, and visiting friends and relatives. In Kashmir, people would go for a picnic to view almond blossoms. On the third day after Navreh-the day of ‘Zanga Triy’- women folk would visit their parents’ house (natal place) if close by and return in the evening with presents of a bunch of salt, bread, and small amount of money as attagath (travel money). This was to harken good beginnings –zang- for the New Year. Next articleUN outcry at Myanmar military clash.